Dogma Free Society | Grand Central Magazine | Your Campus. Your Story. 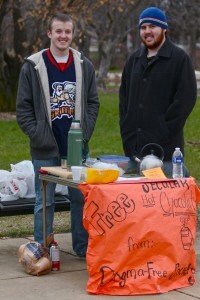 Dogma Free Society, a non-religious group on campus, gave away free hot cocoa to cold students on their way to class Wednesday, April 20. The group met outside Park Library where a representative from an evangelical group called the Soul Winners shouted at students as they passed by. Dylan Clauson, President of Dogma Free Society says they chose the location to counter act the evangelical. Dogma Free Society spent their afternoon outside countering the hate with love, trying to make everyone’s day a little warmer with a little hot chocolate. Dogma Free Society is a non-religious group that gives atheists and agnostics a safe place to be open about their beliefs without being discriminated against. 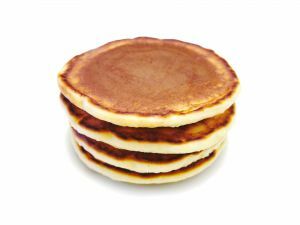 They also promote “being good without God.” They raise money for the groups like the Human Rights Campaign who are often targeted by extremist religious groups. 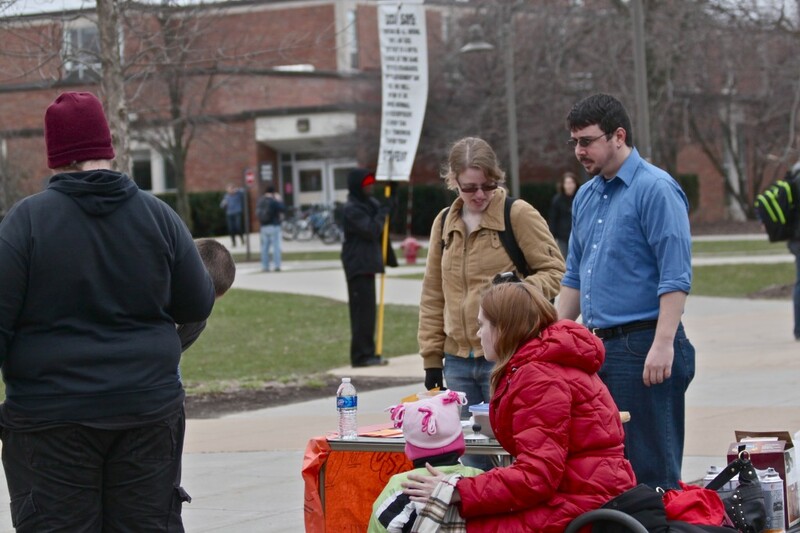 The Dogma Free Society will be premiering the movie Jesus Camp next Monday, April 25, in Anspach 161. The documentary will begin at 7 pm and discussion will follow. Regular meetings are held every Thursday at 7 pm in Anspach 164.